Get ’em while they’re haunt! I had such a good response to this offer that I did another sweep of the shelves, just in time for the holidays. Large Mystery Box: $54.50 shipped to Ohio addresses. $50 shipped to addresses outside Ohio. (Have to charge tax for Ohio.) 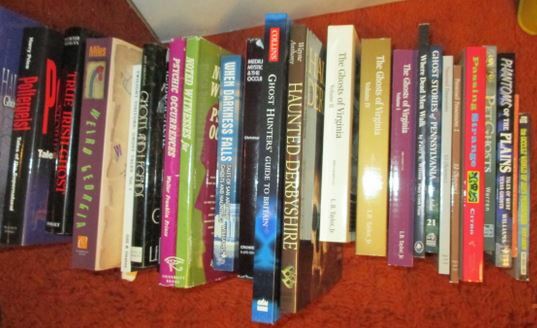 You will get an assortment of as many books on ghosts and hauntings from the USA and the British Isles as I can fit into a Large Flat Rate Priority US Mail Box —depending on book size, that’s at least 20-25 books. 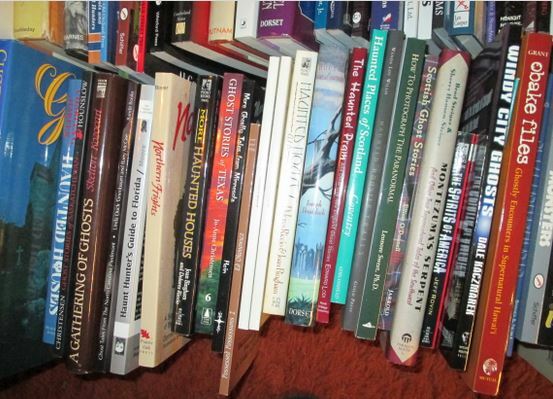 I’m estimating (from cover prices), the books will be at least a $200 value. The box will contain at least one book from the Haunted Ohio series from my “slightly-shelf-worn” stash, signed by me. 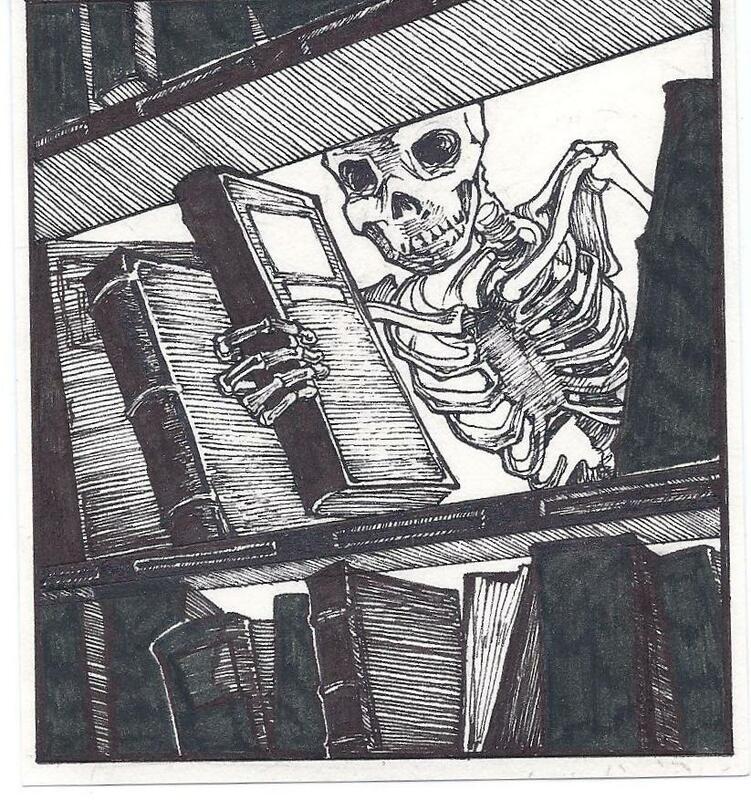 You don’t get to choose the books—I just surprise you and who doesn’t like surprises? 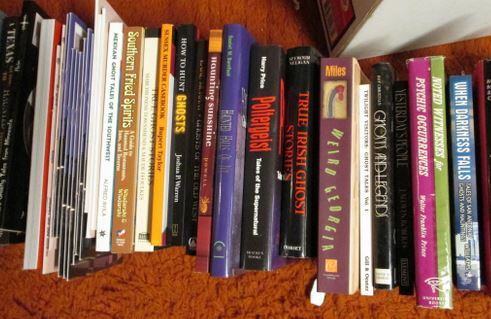 These are nearly all NEW and UNUSED books on ghosts and hauntings, mostly trade paperbacks, although there are a few hardbacks, a few mass market paperbacks, and a few used items in good condition. 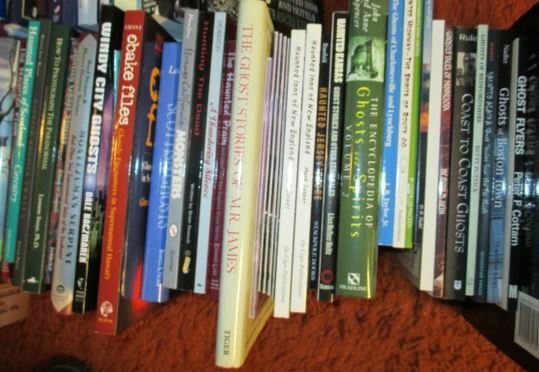 See below for a sampling of titles. I promise not to duplicate any titles in your selection. And when they’re gone, they’re gone! 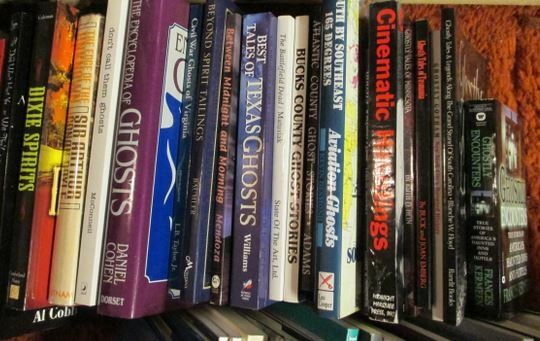 If you or your ghost-hunting organization are assembling a library or buying holiday presents for a ghost-crazy family, this is a golden opportunity! Order several boxes and I will ensure that there are no duplicates. 2) Paypal payment only. Paypal address: invisiblei@aol.com PLEASE include the address where you would like the books shipped and what name you’d like in your autographed book. 3) OHIO BUYERS: I’ve added the 7.5% sales tax above. 6) If you were one of the wise people who took advantage of this offer when it was first offered in January 2016, there’s no guarantee you won’t get some duplicates unless you send me a list of what you originally received. I’ll do my best, but can’t promise no dups.